1. The three most recent annual information returns (Form 990), excluding the list of significant donors (Schedule B) that is attached to the Form 990, but including the accompanying Schedule A. 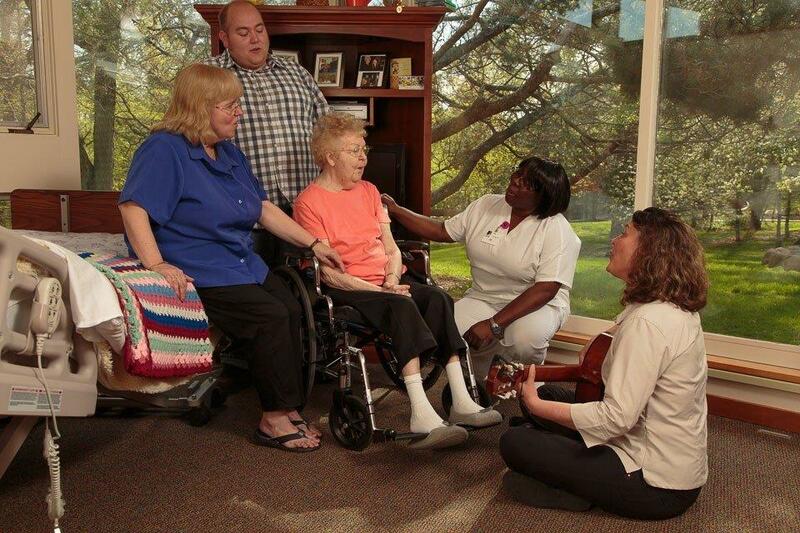 Interested persons may visit www.guidestar.org and search for Seasons Hospice in Rochester, MN – Federal Identification Number 41-1812914, to access forms. 2. Seasons Hospice’s original application for recognition of its tax-exempt status (Form 1023 or Form 1024), filed with IRS, and all accompanying schedules and attachments. 1. Anyone appearing in person at the offices of Seasons Hospice during normal working hours making a request to inspect the forms will be granted access to a file copy of the forms. The Executive Director or designee shall be responsible for maintaining this copy of each form and for making it available to all requesters. 2. Seasons Hospice shall comply with the federal requirements to make its forms widely available by posting all required forms on the Organization's website and referring all requesters to this website within 7 days of receipt of any request for copies. Seasons Hospice takes the privacy of your health information seriously. Seasons Hospice is required by law to maintain that privacy and to provide you with this Notice of Privacy Practices. This Notice is provided to tell you about our duties and practices with respect to your information. Seasons Hospice is required to abide by the terms of this Notice as are currently in effect. The following categories describe different ways that the Seasons Hospice uses and discloses your health information. For each category, an explanation of the category is provided, in some cases with examples. Not every use or disclosure in a category will be listed. However, all of the ways Seasons Hospice is permitted to use and disclose your health information will fall into one of these categories. Treatment. Seasons Hospice may use and disclose your health information to coordinate care within Seasons Hospice and with others involved in your care, such as your attending physician, members of Seasons Hospice interdisciplinary team and other health care professionals who have agreed to assist Seasons Hospice in coordinating care. For example, Seasons Hospice may disclose your health information to a physician involved in your care who needs information about your symptoms to prescribe appropriate medications. Seasons Hospice also may disclose health information about you to individuals outside of Seasons Hospice involved in your care, including family members, other relatives, close personal friends, pharmacists, clergy whom you designated, suppliers of medical equipment or other health care professionals. Payment. Seasons Hospice may use and disclose your health information to receive payment for the care you receive from the Seasons Hospice. For example, the Hospice may be required by your health insurer to provide information regarding your health care status, your need for care and the care that Seasons Hospice intends to provide to you so that the insurer will reimburse you or the Hospice. For example Seasons Hospice may use your health information to evaluate its performance, combine your health information with other Seasons Hospice patients in evaluating how to more effectively serve all Seasons Hospice patients, disclose your health information to members of the Seasons Hospice workforce for training purposes, use your health information to contact you as a reminder regarding a visit to you, or contact you as part of general fundraising and community information mailings (unless you tell us you do not want to be contacted). Facility Directory. Seasons Hospice may disclose certain information about you, including your name, your general health status, your religious affiliation and where you are in Seasons Hospice's facility, in a Seasons Hospice directory while you are in Seasons Hospice inpatient facility. Seasons Hospice may disclose this information to people who ask for you by name. Please inform us if you do not want your information to be included in the directory. Fundraising Activities. Seasons Hospice may use information about you, including your name, address, telephone number and the dates you received care, in order to contact you to raise money for the Seasons Hospice. Seasons Hospice may also release this information to a related Seasons Hospice foundation. Seasons Hospice does not sell any information about you to any other organization. If you do not want the Seasons Hospice to contact you, notify Beverly Haynes, Executive Director (507)285-1930 and indicate that you do not wish to be contacted. Appointment Reminders. Seasons Hospice may use and disclose your health information to contact you as a reminder that you have an appointment for a home visit. Treatment Alternatives. Seasons Hospice may use and disclose your health information to tell you about or recommend possible treatment options or alternatives that may be of interest to you. As Required by Law. Seasons Hospice will disclose your health information when it is required to do so by any Federal, State or local law. Notify an employer about an individual who is a member of the employer's workforce in certain limited situations, as authorized by law. Abuse, Neglect Or Domestic Violence. Seasons Hospice is allowed to notify government authorities if the Hospice believes a patient is the victim of abuse, neglect or domestic violence. Seasons Hospice will make this disclosure only when specifically required or authorized by law or when the patient agrees to the disclosure. Health Oversight Activities. Seasons Hospice may disclose your health information to a health oversight agency for activities including audits, civil administrative or criminal investigations, inspections, licensure or disciplinary action. Seasons Hospice, however, may not disclose your health information if you are the subject of an investigation and your health information is not directly related to your receipt of health care or public benefits. Judicial And Administrative Proceedings. Seasons Hospice may disclose your health information in the course of any judicial or administrative proceeding in response to an order of a court or administrative tribunal as expressly authorized by such order or in response to a subpoena, discovery request or other lawful process, but only when Seasons Hospice makes reasonable efforts to either notify you about the request or to obtain an order protecting your health information. Coroners And Medical Examiners. Seasons Hospice may disclose your health information to coroners and medical examiners for purposes of determining your cause of death or for other duties, as authorized by law. Funeral Directors. Seasons Hospice may disclose your health information to funeral directors consistent with applicable law and, if necessary, to carry out their duties with respect to your funeral arrangements. If necessary to carry out their duties, the Hospice may disclose your health information prior to and in reasonable anticipation of your death. Organ, Eye Or Tissue Donation. Seasons Hospice may use or disclose your health information to organ procurement organizations or other entities engaged in the procurement, banking or transplantation of organs, eyes or tissue for the purpose of facilitating the donation and transplantation. Research Purposes. Seasons Hospice may, under certain circumstances, use and disclose your health information for research purposes. Before Seasons Hospice discloses any of your health information for research purposes, the project will be subject to an extensive approval process. This process includes evaluating a proposed research project and its use of health information and trying to balance the research needs with your need for privacy. Before Seasons Hospice uses or discloses health information for research, the project will have been approved through this research approval process. Additionally, when it is necessary for research purposes and so long as the health information does not leave Seasons Hospice, it may disclose your health information to researchers preparing to conduct a research project, for example, to help the researchers look for individuals with specific health needs. Lastly, if certain criteria are met, Seasons Hospice may disclose your health information to researchers after your death when it is necessary for research purposes. Limited Data Set. Seasons Hospice may use or disclose a limited data set of your health information, that is, a subset of your health information for which all identifying information has been removed, for purposes of research, public health, or health care operations. Prior to our release, any recipient of that limited data set must agree to appropriately safeguard your health information. Serious Threat To Health Or Safety. Seasons Hospice may, consistent with applicable law and ethical standards of conduct, disclose your health information if the Hospice, in good faith, believes that such disclosure is necessary to prevent or lessen a serious and imminent threat to your health or safety or to the health and safety of the public. Specified Government Functions. In certain circumstances, the Federal regulations authorize Seasons Hospice to use or disclose your health information to facilitate specified government functions relating to military and veterans, national security and intelligence activities, protective services for the President and others, medical suitability determinations and inmates and law enforcement custody. Worker's Compensation. Seasons Hospice may release your health information for worker's compensation or similar programs. Except as otherwise permitted or required by this Notice of Privacy Practices, Seasons Hospice will not use or disclose your health information unless you provide written authorization. If you or your representative authorizes Seasons Hospice to use or disclose your health information, you may revoke that authorization, in writing, at any time. If you revoke your authorization, Seasons Hospice will no longer use or disclose health information about you for the reasons covered by your written authorization, except to the extent that Seasons Hospice has taken action in reliance thereon. You understand that Seasons Hospice is unable to take back any disclosures it has already made under the authorization, and that Seasons Hospice is required to retain our records of the care that it has provided you. Right to request restrictions. You have the right to request restrictions on certain uses and disclosures of your health information. You have the right to request a limit on Seasons Hospice's disclosure of your health information to someone who is involved in your care or the payment of your care. Seasons Hospice is not required to agree to your request, unless your request is for a restriction on a disclosure to a health plan for purposes of payment or health care operations (and is not for purposes of treatment) and the medical information you are requesting to be restricted from disclosure pertains solely to a health care item or service for which you have paid out of pocket in full. If you wish to make a request for restrictions, please contact Beverly Haynes, Executive Director (507)285-1930. Right to receive confidential communications. You have the right to request that Seasons Hospice communicate with you in a certain way. For example, you may ask that Seasons Hospice only conduct communications pertaining to your health information with you privately with no other family members present. If you wish to receive confidential communications, please contact Beverly Haynes, Executive Director (507)285-1930. Seasons Hospice will not request that you provide any reasons for your request and will attempt to honor your reasonable requests for confidential communications. Right to inspect and copy your health information. You have the right to inspect and copy your health information, including billing records. A request to inspect and copy records containing your health information may be made to Beverly Haynes, Executive Director (507)285-1930. If you request a copy of your health information, Seasons Hospice may charge a reasonable fee for copying and assembling costs associated with your request. You have the right to request that Seasons Hospice provide you, an entity or a designated individual with an electronic copy of your electronic health record containing your health information, if Seasons Hospice uses or maintains electronic health records containing patient health information. Seasons Hospice may require you to pay the labor costs incurred by Seasons Hospice in responding to your request. Right to amend health care information. You or your representative has the right to request that Seasons Hospice amend your records, if you believe that your health information is incorrect or incomplete. That request may be made as long as the information is maintained by Seasons Hospice. A request for an amendment of records must be made in writing to Beverly Haynes, Executive Director. Seasons Hospice may deny the request if it is not in writing or does not include a reason for the amendment. The request also may be denied if your health information records were not created by Seasons Hospice, if the records you are requesting are not part of Seasons Hospice's records, if the health information you wish to amend is not part of the health information you or your representative are permitted to inspect and copy or if, in the opinion of Seasons Hospice, the records containing your health information are accurate and complete. Right to an accounting. You or your representative have the right to request an accounting of disclosures of your health information made by Seasons Hospice for certain reasons, including reasons related to public purposes authorized by law and certain research. The request for an accounting must be made in writing to Beverly Haynes, Executive Director. The request should specify the time period for the accounting starting on or after April 14, 2003. Accounting requests may not be made for periods of time in excess of six (6) years. Seasons Hospice would provide the first accounting you request during any 12-month period without charge. Subsequent accounting requests may be subject to a reasonable cost-based fee. Right to breach notification. Seasons Hospice follows Federal and State requirements and established procedures related to the notification of individuals when a breach of unsecured protected health information is discovered. Right to a paper copy of this notice. You or your representative has a right to a separate paper copy of this Notice at any time, even if you or your representative has received this Notice previously. To obtain a separate paper copy, please contact Director of Clinical Services at 507-285-1930. Seasons Hospice reserves the right to change this Notice. Seasons Hospice reserves the right to make the revised Notice effective for health information we already have about you, as well as any health information we receive in the future. We will post a copy of the current Notice in a clear and prominent location to which you have access. The Notice also is available to you upon request. The Notice will contain, at the end of this document, the effective date. In addition, if Seasons Hospice revises the Notice, Seasons Hospice will offer you a copy of the current Notice in effect. Seasons Hospice has designated the Beverly Haynes, Executive Director (507)285-1930 as its contact person for all issues regarding patient privacy and your rights under the Federal privacy standards. You may contact this person at 1696 Greenview Drive, SW, Rochester MN 55902 or by phone at (507)285-1930. You or your personal representative has the right to express complaints to Seasons Hospice and to the Secretary of the U.S. Department of Health and Human Services if you or your representative believes that your privacy rights have been violated. Any complaints to Seasons Hospice should be made in writing to Beverly Haynes, Executive Director 1696 Greenview Drive SW, Rochester MN 55902. Seasons Hospice encourages you to express any concerns you may have regarding the privacy of your information. You will not be retaliated against in any way for filing a complaint. This Notice was effective 10/01/2010 and was updated/reviewed 9/09/16.